This is a nice all in one meal, just serve it over rice or pasta to soak up all the wonderful flavors in the sauce. Heat a medium saucepan over medium heat. Add oil and saute onion until tender. Remove from heat, add flour whisking until well mixed. Place pan back on heat source, slowly pour chicken broth into flour, whisking well until smooth. Add sherry and thyme, stir until sauce begins to thicken. 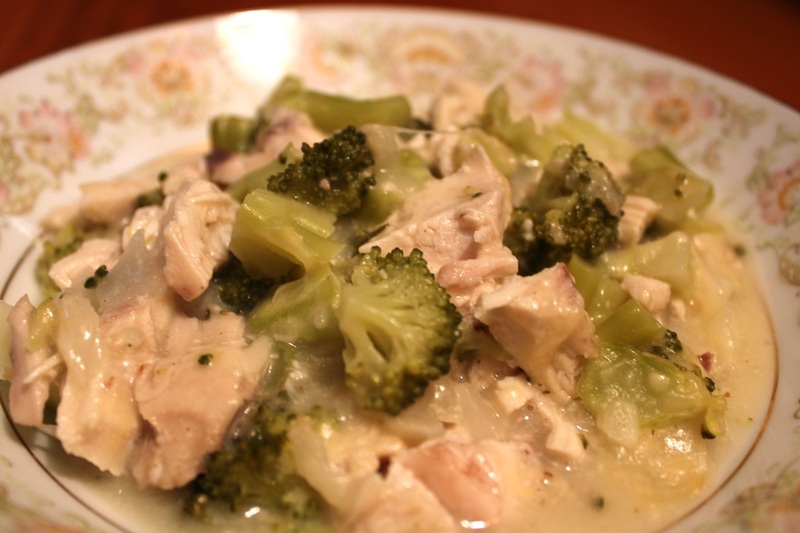 Stir in broccoli, cook until warm. Remove pan from heat add Parmesan, yogurt and dijon mustard, stirring well. Pour half of sauce in the bottom of an 8x8 baking dish. Layer cooked chicken, then top with the other half of the sauce. Cook 25-30 minutes. Serve over rice or pasta.